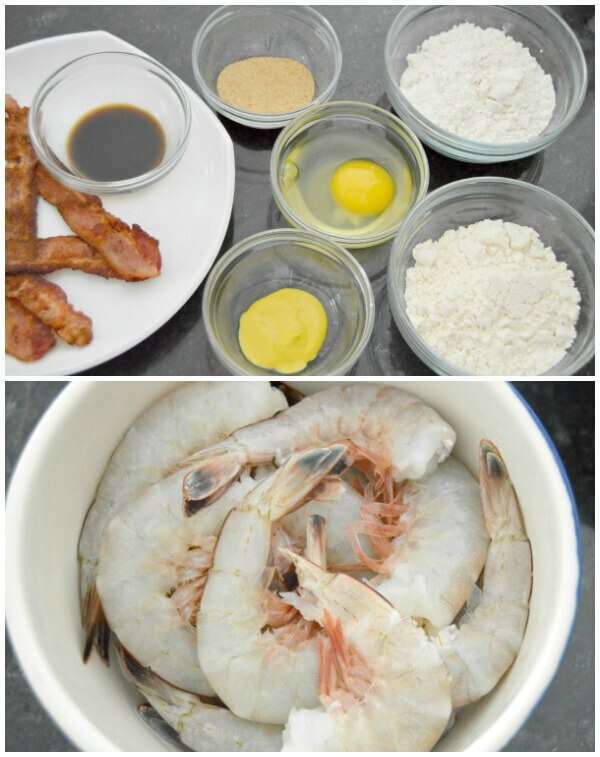 Today is the April Monthly Ingredient Challenge and boy do I have a very Saturday style recipe for it, Bacon-breaded Fried Shrimp! That’s right, this month’s ingredient was bacon (yesssss), so I added it to our fave fried shrimp breading! We live on the coast, the husband grew up on the coast, and the in-laws live on the coast, so it’s no surprise we make fried seafood all.the.time. Fried fish, fried oysters (a Christmas Eve tradition), and fried shrimp, all super fresh and local. My mother-in-law makes the best fried shrimp I’ve ever had by far. 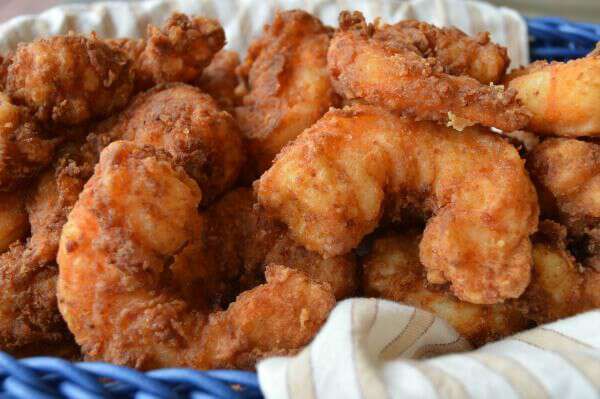 Her fried shrimp is always perfectly battered, perfectly golden, perfectly cooked, and perfectly non-flaky. Lucky for me, and for you guys, she shared her recipe (thanks Paula!!). I always figured it was some top-family-secret concoction of breading but it is only a few ingredients, the key being Bisquick in the dry ingredients. Prep is simple, with just whipping both the wet and dry ingredients then dredging. I never would have thought to add what she does to the liquid part; yellow mustard and Worchestershire. There is SO much flavor! Here’s the twist, grind up some extra crispy bacon as fine as you can get it (I used my mini processor) then whisk that in with all of the dry ingredients. 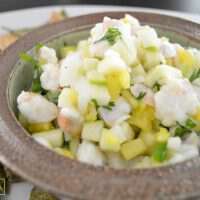 Coat your shrimp in the egg mixture, then evenly coat with the dry. It only takes about 3 minutes for these little guys to fry up to golden perfection. 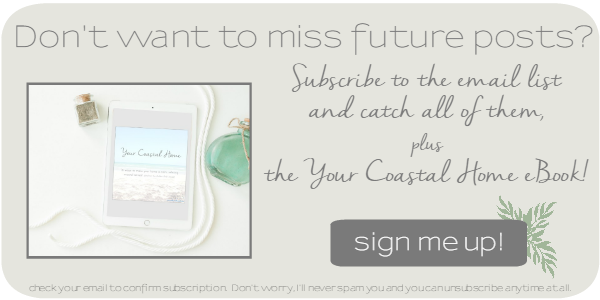 Ours don’t always make it very far after that but if they do, I just keep adding them to a pan I have in our little convection oven set to warm until we’re ready to serve. 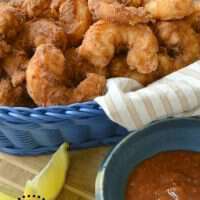 Bacon added to the dry ingredient batter on these fried shrimp bring it to a whole other level of goodness. 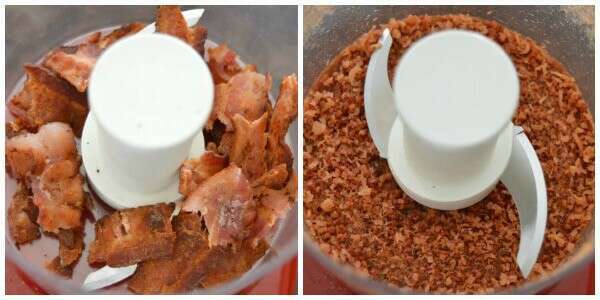 Crumble bacon and put into a small food processor. Grind until it is as fine as you can get it, probably the consistency of large sand grains. 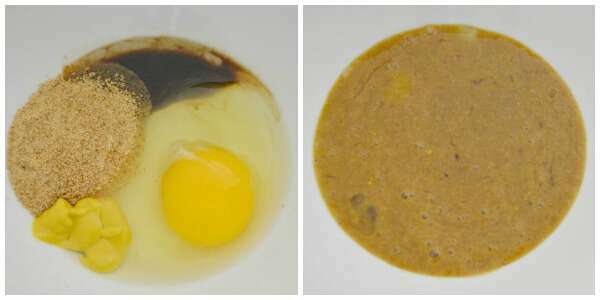 Whisk egg, mustard, Worchestershire, and seasoned salt together. 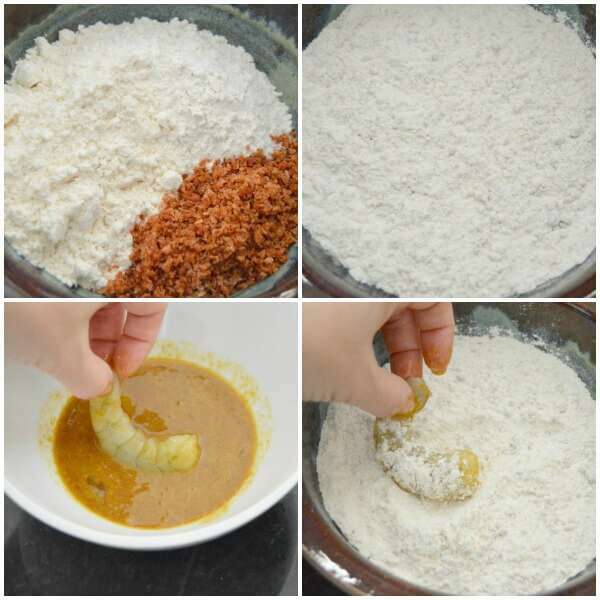 Dip each shrimp into liquid mixture, then in flour mixture, and set in pan lined with parchment paper. 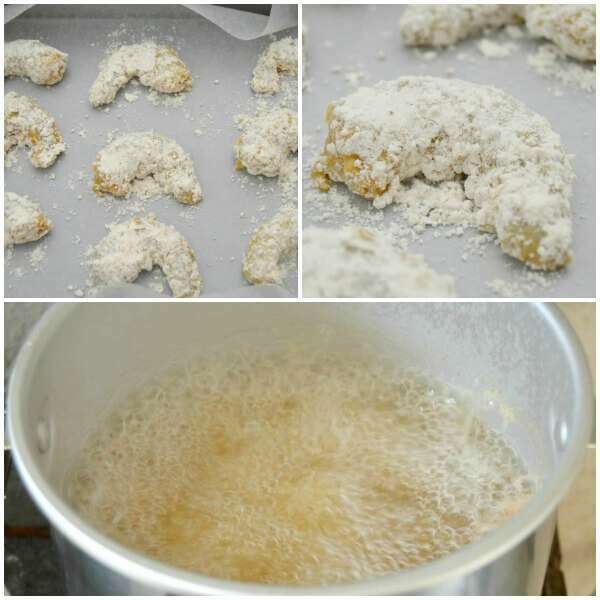 Heat oil in fryer (we use a Fry Daddy) and carefully add a small batch of shrimp. For our Fry Daddy, we do 6-8 shrimp at a time. Keep in warm oven until ready to serve (if you can wait that long). 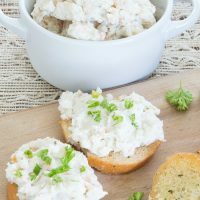 Serve with cocktail sauce, tartar sauce, and lemon! Patting the shrimp as dry as you can get them before battering really helps with the coating. 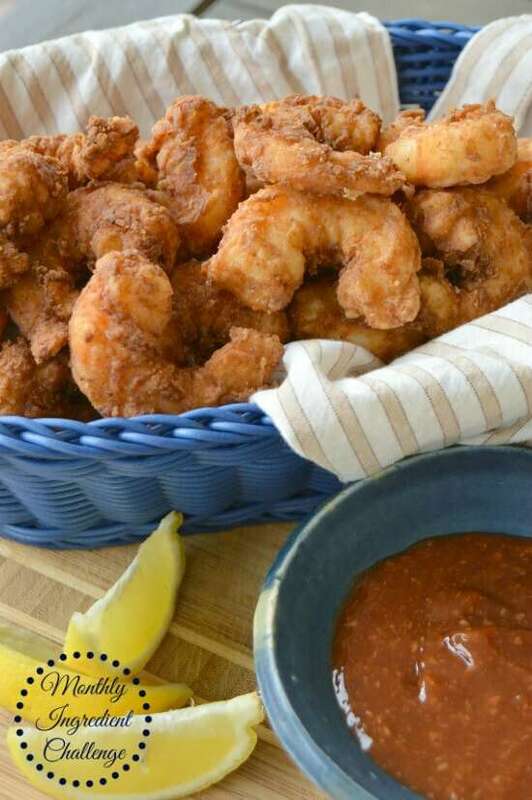 This is our go-to fried shrimp recipe, just with bacon bits added, so you can omit the bacon if you want to make regular fried shrimp. We LOVE our little Fry Daddy and use it all the time. Plus, they’re only like $40 or so. We have it on a little table on the patio because it can be a little messy. So here I was, wondering how you got the shrimp shape to stay without some magical trick to wrap in bacon. Pulsing the bacon right into the breading is sooo much easier! Thanks for the trick. :) Pinning so I remember for the future. Oh wow bacon and shrimp together…how could you go wrong?! 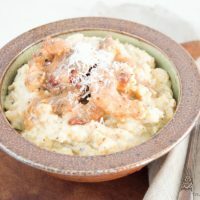 I can’t wait to try this recipe!! My kids would LOVE this. They seriously go bonkers for shrimp. Nice job, Emily!! It’s perfect for kiddos Leia!! Hope you guys enjoy it! As if fried shrimp isn’t good already! OMG adding bacon brilliant! Sweet lord. I need this in my belly right now! And lucky for me no one else in the house likes seafood so these are ALL MINE! Pinning! Ha, you’re welcome ;) Thank you and you too!! UMMMMM bacon and shrimp are two of my favorite foods… I’M SO EXCITED TO TRY THIS. Me too Cat! Let me know!! Even though I lived on the Jersey shore my whole life, I have this weird aversion to sea food. But I have to say this recipe looks so good I might even try it. Plus, my husband will LOVE it. Pinning! I love the addition of bacon to our shrimp. I can’t wait to try it. This is brilliant, I bet this tastes phenomenal! O.M.G. …I’m not even sure what else to say. 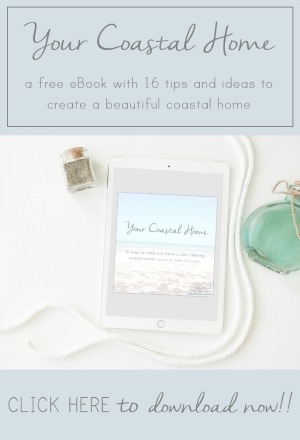 This is an awesome idea!!! Why have I never thought of using crumbled bacon as a breading?!?! 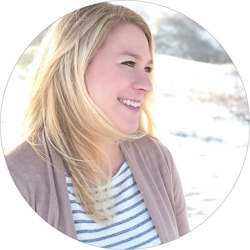 You are a genius, Emily! This could have so many uses….I may just be covering everything in bacon now. This is what I’m choosing as my group feature tomorrow at Your Turn to Shine. Hope you are having a great week! I totally agree, bacon dust all the things!!! Thanks so much Jamie! Emily, My mouth is watering. These look absolutely delicious! I can’t wait to serve this up to my momma this Sunday. MMMMMM.